The iERA has sent the Council of Ex-Muslims of Britain (CEMB) two T-shirts. 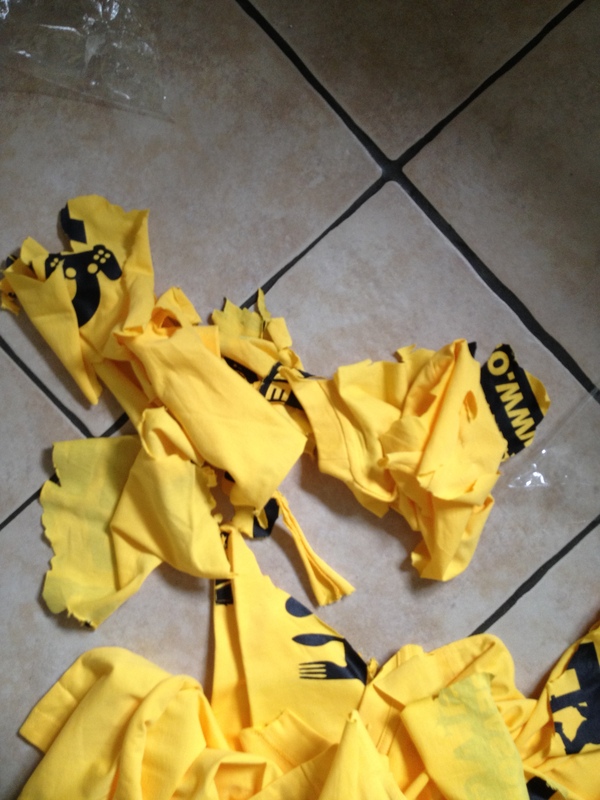 You know, the yellow ones which their dawah teams wear on the streets of Britain to hate-preach misogyny and death to apostates, gays, Jews, unveiled women, Muslims who don’t agree with them…. 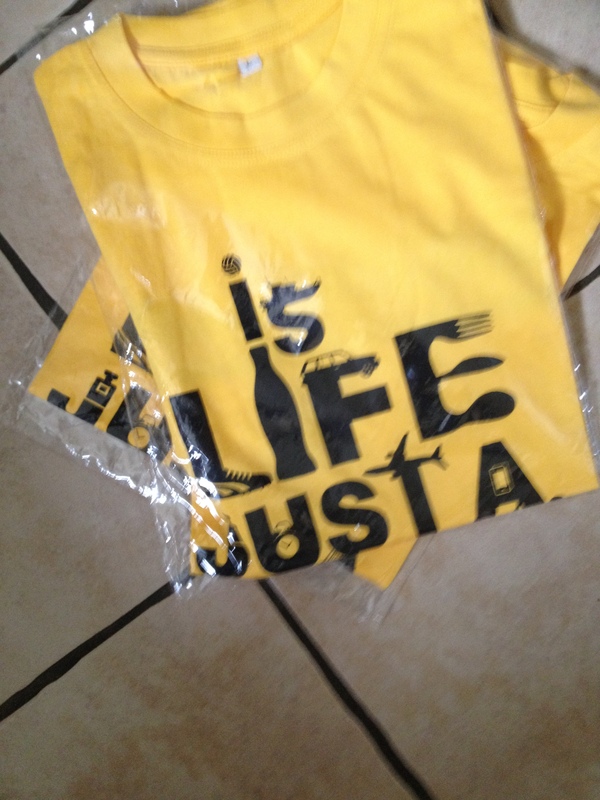 They have sent the T-shirts to prove that anyone can wear them. This is in response to the CEMB’s recent report on the group called Evangelising Hate where we show Ifthekar Jaman in one of their T-shirts doing Dawah. IIn case you don’t know, Jaman is from Portsmouth and was killed in Syria whilst fighting for a Jihadi group called the Islamic State of Iraq and al-Sham (ISIS), which has engaged in brutal terrorist violence. It seeks to set up an Islamic caliphate in territory that it controls, and its members have engaged in beheadings, amputations and public executions. Shias and Christians have been persecuted by them. ISIS executed a secular Syrian activist for “apostasy”. Nine months before being killed in Syria, Jaman was participating in an iERA dawah event in Portsmouth city centre. 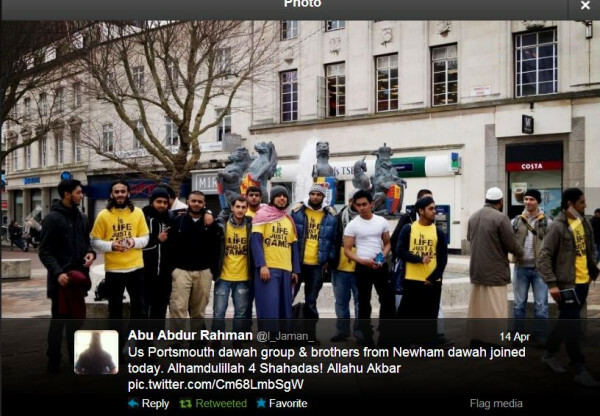 In a picture posted on his Twitter account on 14 April, Jaman is standing in a group of men, wearing a yellow iERA T-shirt with the slogan ‘Is Life Just a Game?’ He comments under the picture “Us Portsmouth Dawah group & brothers from Newham dawah joined today. Alhamdullilah for shahadahs! Allahu Akbar”. In their pathetic response to our report, iERA tried to deceptively dissociate themselves from Jaman by saying that anyone could wear their T-shirts, including me. I will leave the intentions of a group preaching the death of apostates (by beheading no less as it is “painless”) sending unmarked post to those it wishes dead to the readers of this post. Needless to say, as I have written earlier, the iERA’s charity status is the least of our worries. Revoking its charitable status should be a first step in further investigation of this organisation and its links to terrorism. @9: Worried Ripped up T-Shirts are nothing. You should see what happens with a bible, quran, the god delusion, a catholic host, rusty nail, and a garbage bin. The fact that you are worried about t-shirts being ripped up and not FGM by cultural fanatics is more worrisome. Wow, what you did to the shirt really makes me worried. Some Danish muslims have also left to fight in the hell of Syria. Sad to see. Groups like iERA are not a positive addition to life. You do a great job, Maryam! I'm not frustrated. Just don't want "Gifts" from those who perpetrate hate. I would do the same with a BNP t-Shirt. Islamism is my far-Right and I wouldn't wear an iERA t-shirt if it was the last piece of clothing on earth. Well done Namazie. 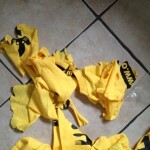 By ripping up their t shirts you really showed those Muslims who the civilised ones are. Cutting up a gift someone gives you shows you are really taking a stand. Let's all rage and protest against the sending of gifts. Btw I follow iERA on fb and they have always strongly condemned the act of traveling to Syria for 'Jihad'. They have discouraged it on Islamic grounds. This is a baseless & desperate attempt to smear them. I don't accept gifts from fascists - Islamist or otherwise. Also facts speak for themselves. They are cultivating British jihadis with their hate speech and their justification of jihad, misogyny and inhumanity. Our report speaks for itself. The facts are there for all to see. There is no need to smear the group. they have done it themselves with their own words. Hmm... There is definately good in you, but when it comes to faith and religion, your mind decides not to think logically. I say this because you are nice enough to take pictures of the iERA T-Shirts, and even post Jaman's picture of people wearing it so letting us see how it looks. 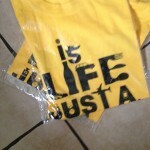 Thanks for that :-) Also, the picture of you ripping the t-shirt looks good. This indicates how you rip the minds of innocent people with your trash. I mean, what did the t-shirt do to you? It was probably made by a 12 years old in Bangladesh. Well done Maryam Namazie, well done. Why hasn't this already happened ages ago? I would expect such groups to be banned as violent hate groups. It sounds as if they are saying that someone claimed they are like gang colors, and one would be beaten if caught wearing them if not part of the gang. Did anyone do that? It does not seem so. I could use some rags to clean bathrooms when I flip apartments. A female earthquake by "stealth"